As 2017 hurtles toward the end, I’m in need of a quiet getaway to relax and recharge. I’m also desperately wanting to reconnect with health and fitness goals that always seem to jump ship mid-way through the year. 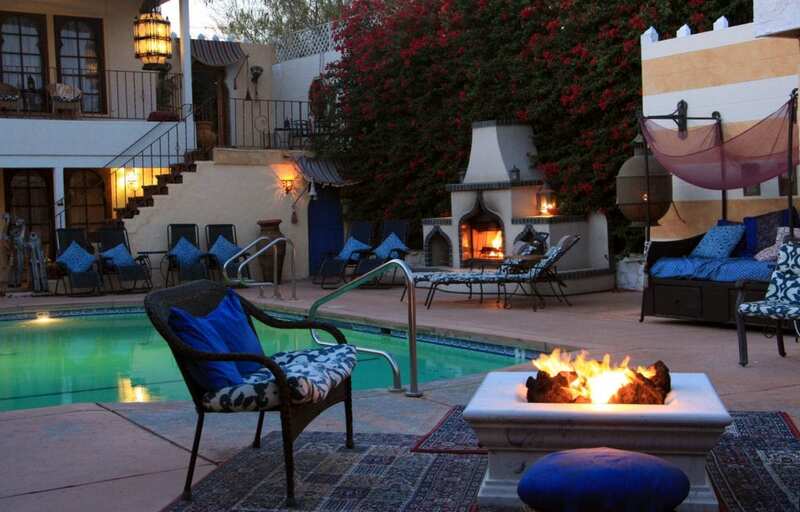 If you too are looking to make good on New Year’s resolutions for 2018, try a retreat to one of these California inns. Designed for relaxation and rejuvenation, offerings at the inns range from yoga and meditation to spa treatments to healthy cooking and nutrition classes. 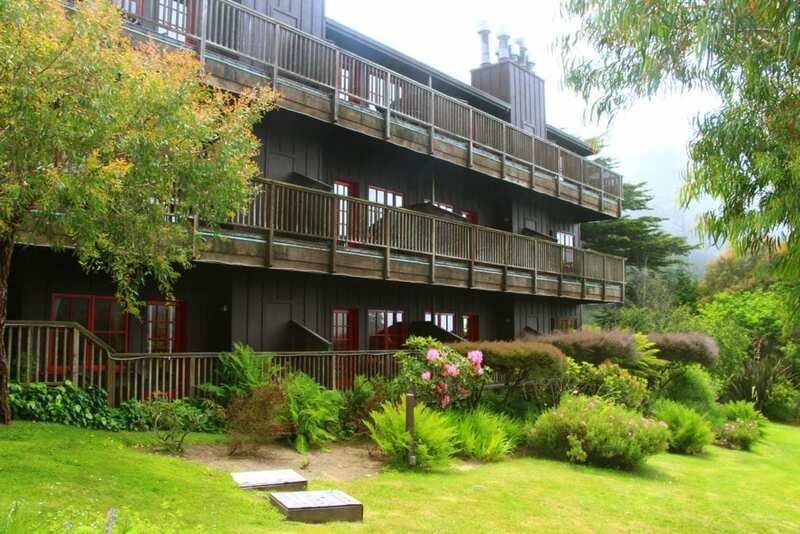 For a truly transformative experience, book a stay at the Stanford Inn by the Sea on the Mendocino coast. The inn’s Mendocino Center for Living Well offers a wide range of programs in meditation, yoga, Tai Chi, Chinese medicine, massage, Ayurvedic treatments, art therapy, nutrition, plant-based cooking, gardening, and much more. Reconnect with your rusty yoga practice in an inspiring, light-filled yoga-studio that feels like a tree house hideaway. Learn cooking techniques and recipes for transitioning to a whole foods, plant-based vegan diet to make lasting changes and maintain a healthy weight. 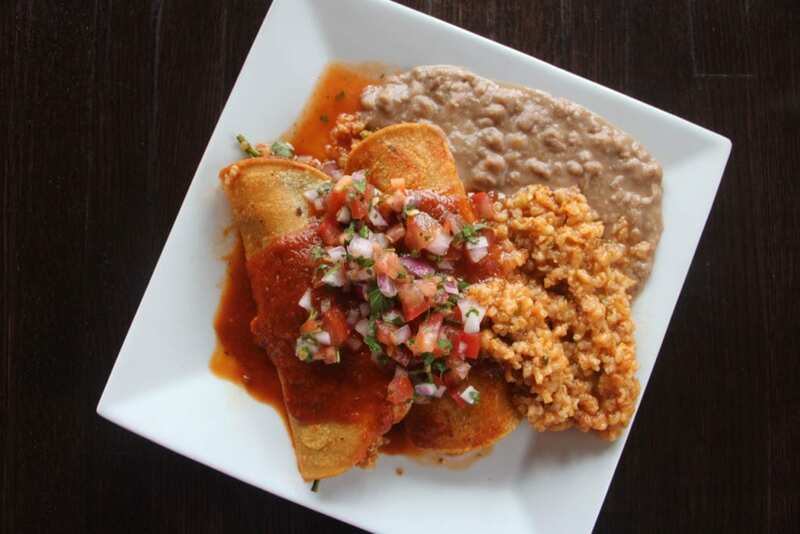 Savor nourishing vegan fare with vegetables and herbs harvested directly from the inn’s certified-organic gardens at the inn’s award-winning Raven’s Restaurant. Take the “Calories and Carbon” gardening course that can teach you how to grow all of your calories for the year in the smallest amount of space possible while still maximizing the amount of carbon that goes back into the soil. Even without the wellness offerings, Stanford Inn is an inspiring and relaxing a destination unto itself. 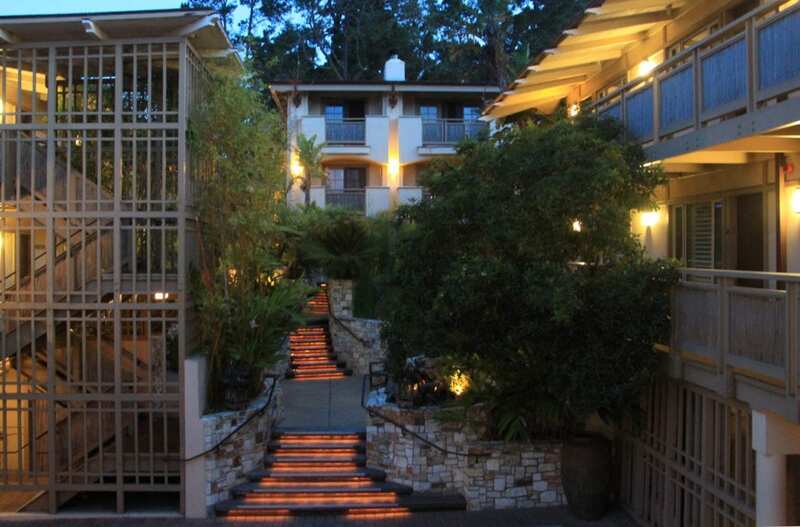 Perched on a hillside overlooking the Pacific Ocean, the inn is a handsome collection of wood buildings nestled amid a verdant cascade of gardens and trees. 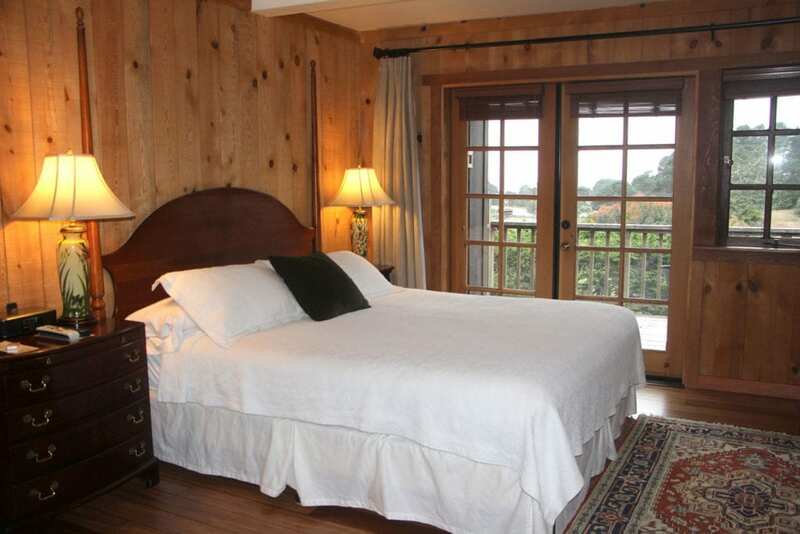 The inn exudes a cozy, understated luxury. The guest rooms feature wood-burning fireplaces, hardwood floors with Persian rugs, and an uncluttered mixture of antique clocks, desks, lamps, and other beautifully-crafted furnishings. The beds are triple-sheeted with fine white linens, down comforters, and white matelassé coverlets. Most of the rooms have ocean views. 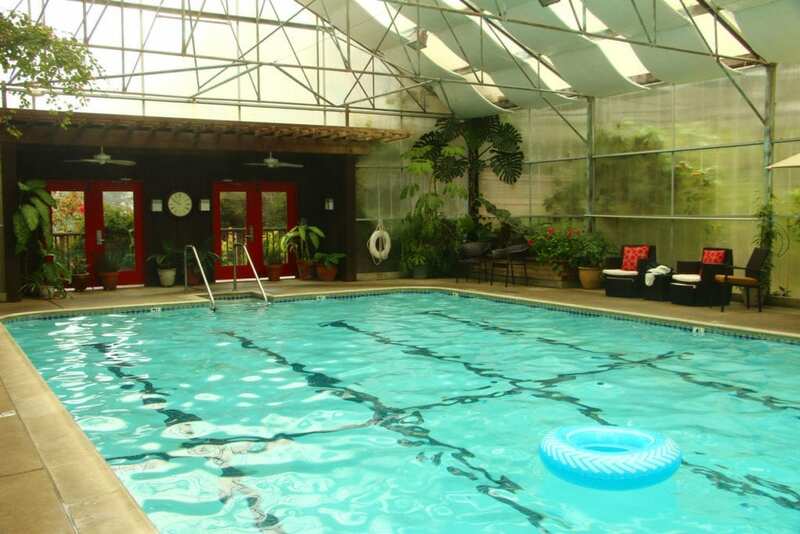 A solarium across from the lobby houses a heated pool, hot tub, and sauna. With its location on the banks of Big River, the inn offers canoe and kayak rentals for the paddling the river as well as bike rentals for exploring the trails that wind up through the redwoods. 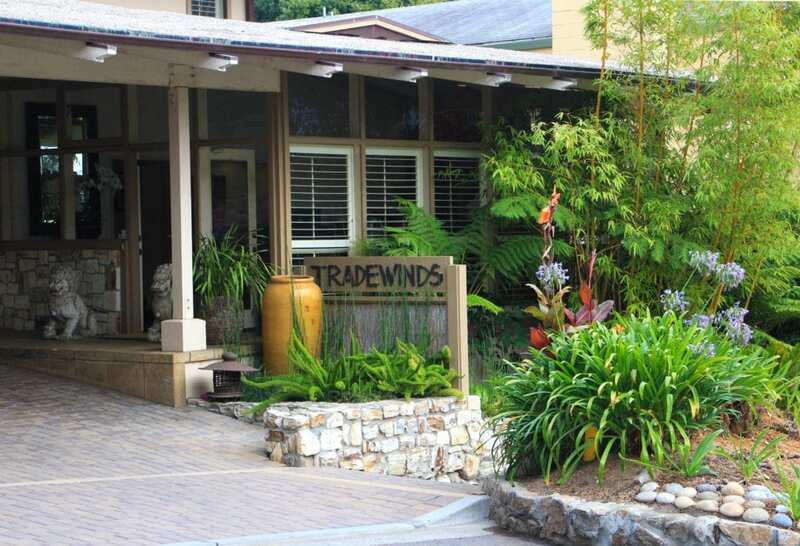 Tradewinds Carmel provides a magical oasis of tranquility just a few blocks from the heart of downtown Carmel. 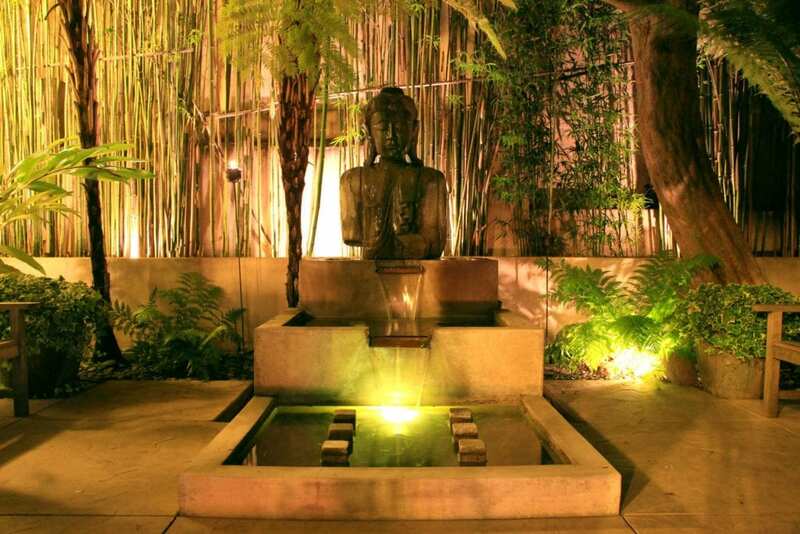 The Asian-inspired boutique hotel features a lush, tropical garden courtyard with a cascading stream, fountains, tiki torches, a fire pit, and a pergola-enclosed meditation garden with a large stone Buddha presiding over a triple-tiered fountain. You can book a private yoga lesson in the meditation garden or a therapeutic massage in the privacy of your room. You can also reserve space in one of Jeff Galloway’s upcoming Fitness and Nutrition Retreats in Carmel. Designed for both beginners and those of us who need a motivational kick start, the retreats include nutrition clinics and inspiring runs, hikes, and walks. In conjunction with each of Jeff’s retreats this winter and spring, Tradewinds is offering a Fourth Night Free Special for participants. After a challenging hike or run, the hotel is a serene spot to return to relax in the courtyard gardens and sneak a freshly-baked cookie from the hotel lobby. The hotel was originally built in 1959 by Richard and Patricia Catlin. Inspired by Richard’s years spent living in Japan, his design reflects a fusion of Asian and tropical elements. His daughter Susan completed an extensive renovation in early the 2000s to redefine luxury in Carmel and modernize the hotel while remaining true to her father’s original vision. 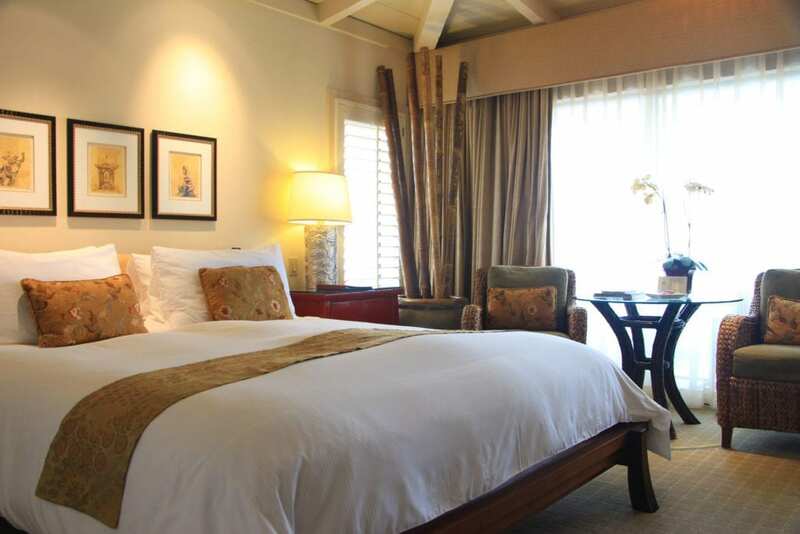 The guest rooms are elegantly-appointed with an exotic blend of textures and furnishings. Luxurious feather beds are covered in Egyptian cotton linens, down comforters, and silk throw pillows. The baths feature slate tile floors, Japanese Tansu vanities, glass-enclosed showers, and spa tubs. Private balconies with teak furniture offer views of the ocean, the mountains, and the fabled Point Lobos. The rooms feature fresh orchids, bamboo fountains, and kimono robes; some of the rooms also have fireplaces. A true desert hideaway, El Morocco Inn & Spa in Desert Hot Springs is housed behind an unassuming façade far from the glitz of Palm Springs. But upon entering through its doors, guests are whisked on a magic carpet ride to a Moroccan-inspired oasis with pools of warm, natural spring-fed mineral water. The soothing, silky smooth waters are thought to be therapeutic, sharing the same healing, mineral water vein as a private children’s hospital across the street. 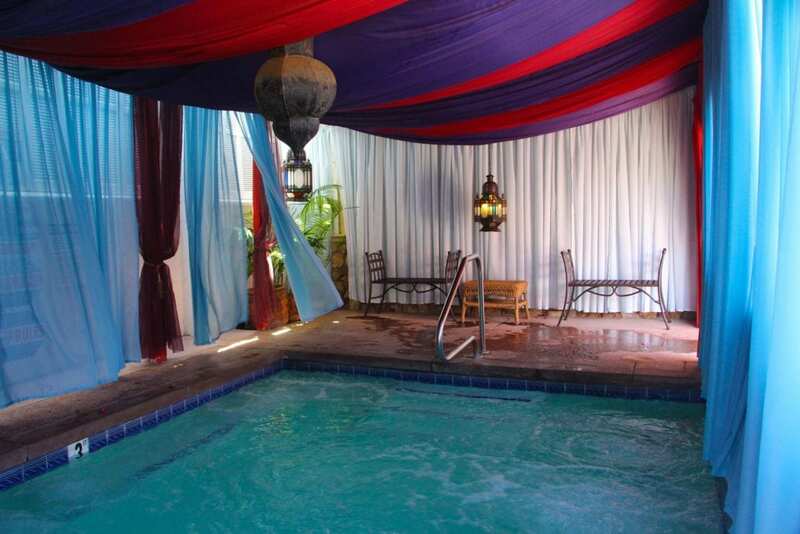 You can soak day and night in the warm swimming pool and hot tub, which are open to guests 24 hours a day. The pools are surrounded by glowing lanterns, lounge chairs, Moroccan poufs, and daybeds piled with pillows. 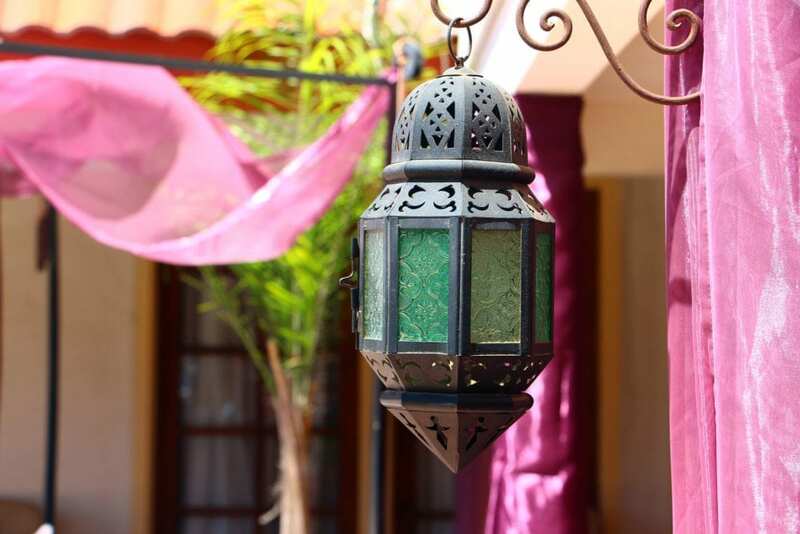 Sheer fabrics billow in the desert breeze while faint strains of Moroccan music drifts overhead. An outdoor fireplace and fire pit add to the enchantment at night. In addition to the soaking pools, the inn’s day spa offers an array of spa treatments ranging from over a dozen different types of massage to cleansing and detoxifying body masks and body scrubs. In a quiet spa garden, a genuine Bedouin tent provides a space for yoga or meditation. Hammocks strung between the tamarisk trees offer a place to lounge in the shade and contemplate your next move in the garden’s giant chess board. 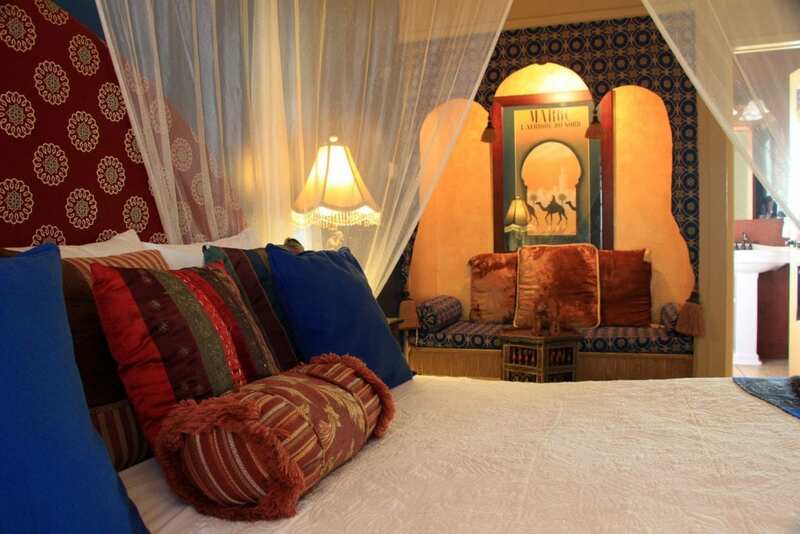 The richly-appointed guest rooms are decorated in authentic Moroccan antiques and fabrics that the owners have brought back from more than a dozen trips to Morocco. Every piece has a story. The fabrics for the headboards and drapes were purchased at a women’s co-op on the outskirts of Fez, where widows and divorced women without means were sitting on the ground weaving fabric on handlooms. Owner Bruce Abney bought all the available fabric in the factory that day.